I looked like a mass execution: six people, systematically shot and killed in a private Washington Mansion. One of the targets happened to be the White House Chief of Staff. But that wasn't the reason Sean Drummond was called in on the case. Newly enlisted in a CIA cell called the Office of Special Projects, the former Army lawyer was informed that the murders were just a warning. The Killer had left a note: &quot;You can't stop us. There will be others, and the President will be history in the next two days. The clock is ticking. The hunt begins for the ultimate killer-for-hire..a brilliant, cold-hearted professional with an insider's knowledge of Washington. For Sean Drummond, it's the greatest challenge of his career, a terrifying can-and-mouse game with unthinkable consequences. If he fails, the world will never be the same, and one calculating killer will collect the $100 million bounty on the President's head. 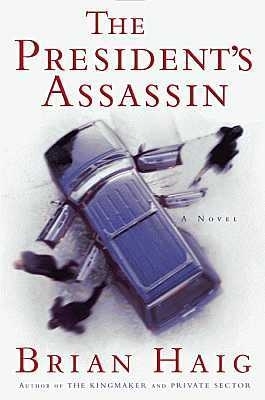 The story of one shocking conspiracy, two fateful days and an earth-shattering death threat, THE PRESIDENT'S ASSASSIN is a gripping and chillingly real novel.